Upon completion of I-75 in 1962, car culture was finally in full swing in Northern Kentucky. With easy highway access, the cities of Fort Mitchell and South Fort Mitchell were primed for suburban style development that catered to the traveler and commuter alike. Fort Mitchell annexed the much larger South Fort Mitchell in 1967. On the southwest corner of the newly combined city were undeveloped parcels of land ready for a new purpose. 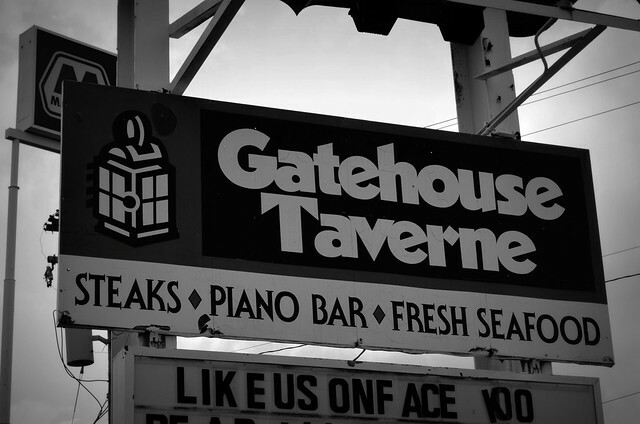 What would become the Drawbridge began to take shape in the late 1960s when the homes were demolished on Grace Avenue. 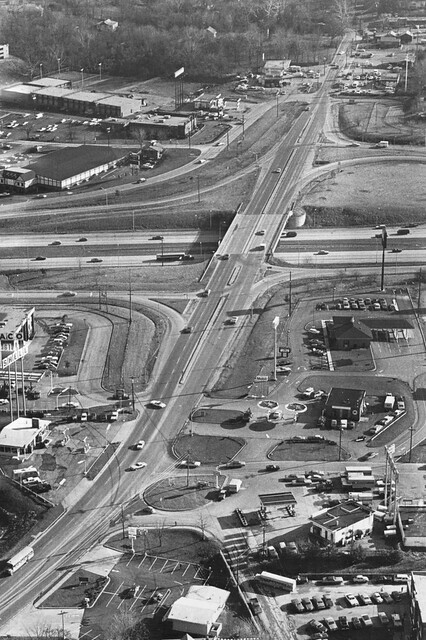 Grace Avenue once connected directly to Buttermilk Pike but to make way for a sweeping entrance ramp for I-71/75 the road was partially removed/partially reconfigured as Royal Drive. 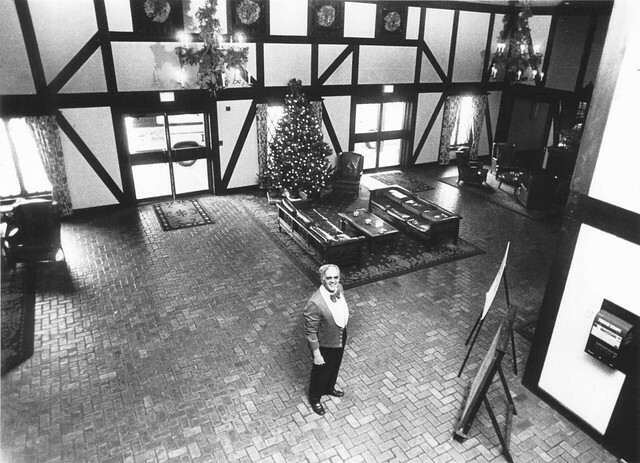 Jerry Deters acquired the property and initiated plans for the site to include a hotel, conference center, and multiple restaurants. An early-1970s brochure showing the entrance. 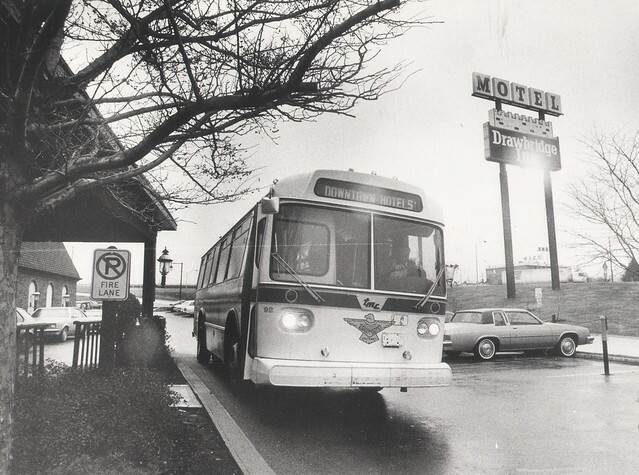 In November 1970, Deters opened the Rowntowner Motor Inn, a reimagined nameplate and concept of motels that shamelessly boasted a heritage of locating near downtown convention centers to capitalize on built-in business. The Downtowners were now sprouting Rowntowners (presumably a play on the words “around town”) and the model in Fort Mitchell was logical because the sprawling facility could host large meetings. 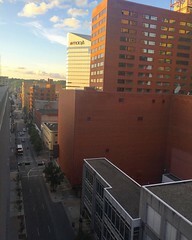 In fact, it served as the main Northern Kentucky convention center until a new convention center was built in Covington around the turn of the century. Another travel brochure with one of the many names. 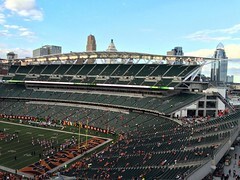 Notice to association with Cincinnati in the name. An advertorial from the August 1 1974 edition of the Walton Advertiser. A few years later. 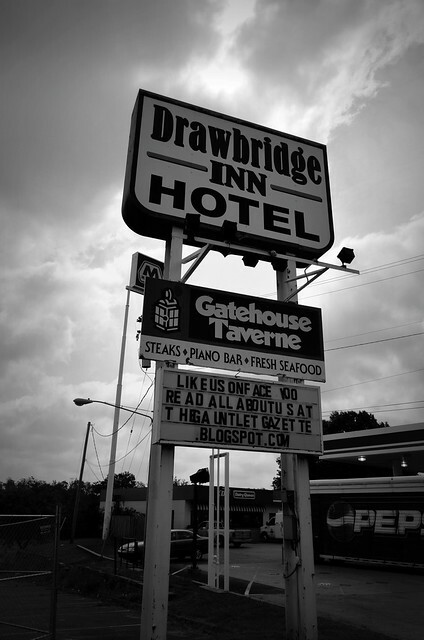 the complex would become known by its more popular moniker, The Drawbridge (Motor Inn). 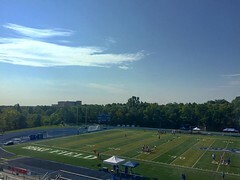 Above: Looking northwest, you can see how the complex had great exposure to I-71/75. The three buildings in the lower right are apartments that still stand on Grace Court. Grace Avenue (center) still connected through to Royale Drive at this point in 1978. The two buildings at center left are part of the complex as well. You can see the pool and the switchback laden sidewalk leading to the tennis courts. 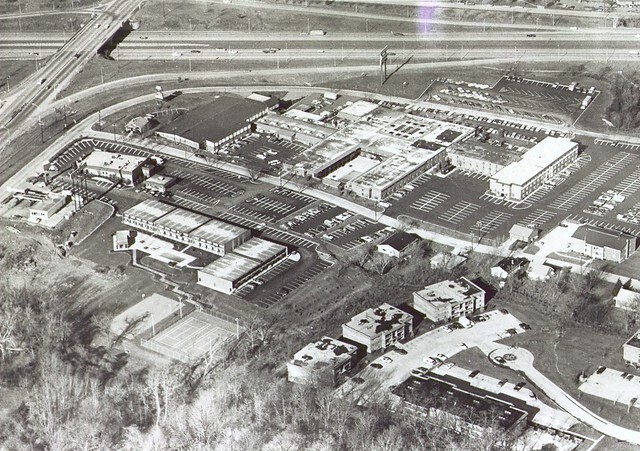 Above: This view looking southeast is from December 1977 and shows the site before the early-1980s expansion. All of the land in the top of this picture has now been developed into offices and Buttermilk Pike is five lanes wide. 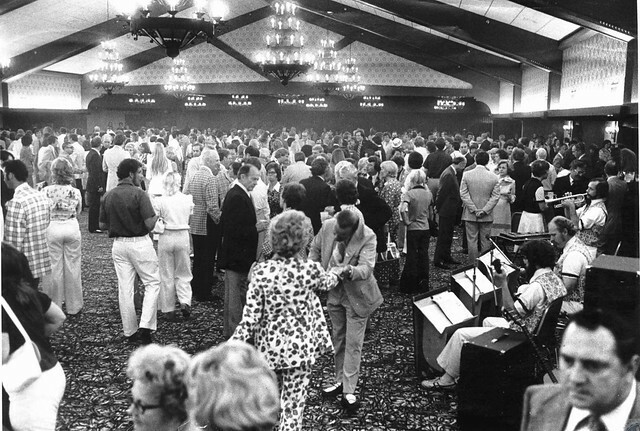 Above: Leonard Losito (50), a bell hop stands in the main lobby in 1979. 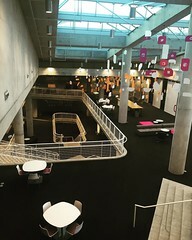 His mere presence hearkens back to days gone past when businesses approached customer service with manpower instead of technology. 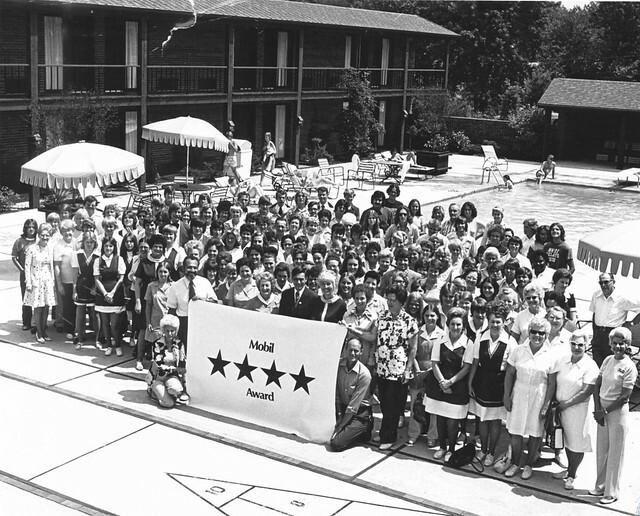 Above: Employees by the outdoor swimming pool accepting Mobil 4-star award in the late-1970s. 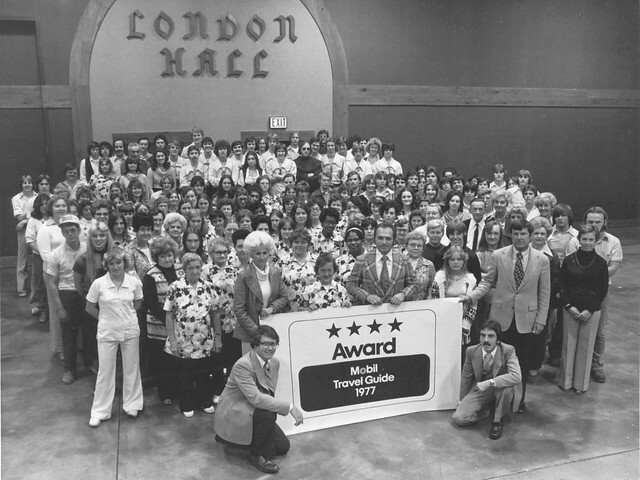 Above: Employees in London Hall accepting Mobil 4-star award in 1977. 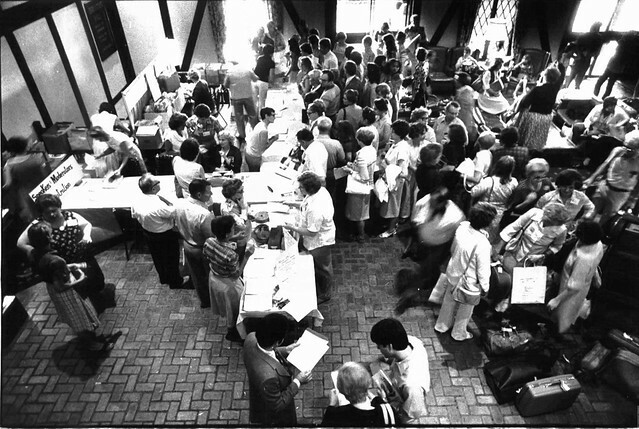 Above: A meeting of educators in the 1980s. 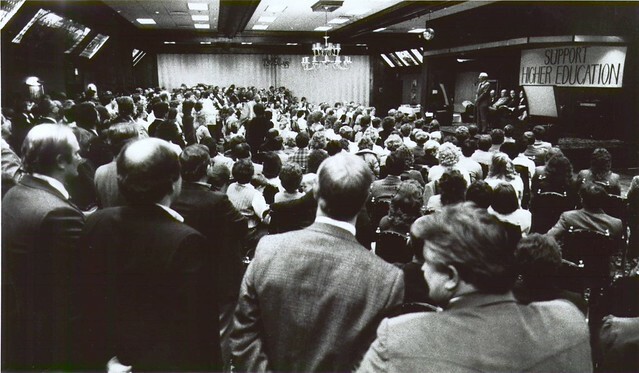 Above: Seventies inspired fashion abounds at this gathering. 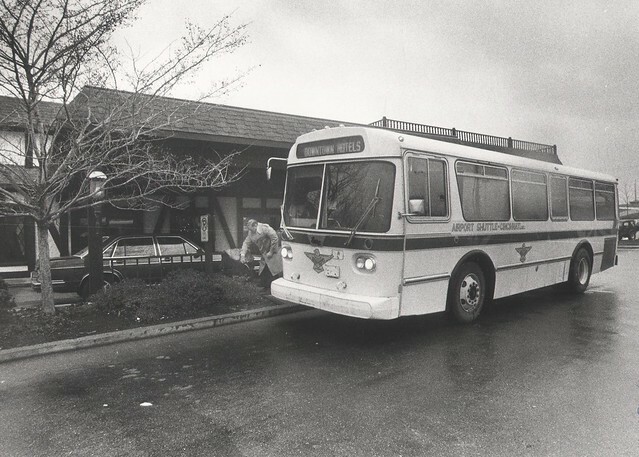 Above: The airport shuttle made a stop at the hotel here in 1981. Jakle, John A.; Sculle, Keith A.; Roger, Jefferson S. The Motel in America. Baltimore, MD: The Johns Hopkins University Press. 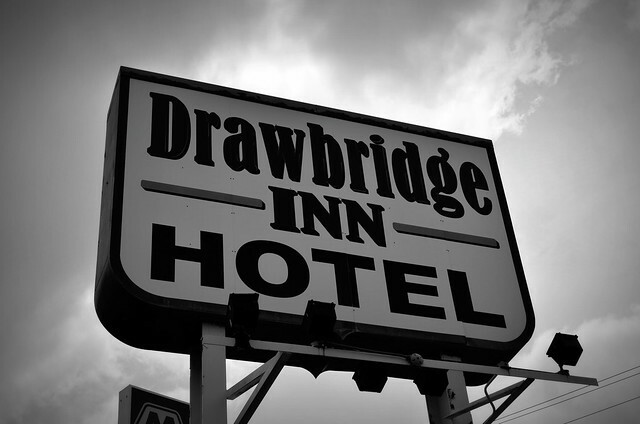 I worked for Levi’s in the late 70’s until 1983 and frequently traveled to the Levi’s distribution center in Florence, KY. We always stayed at the Drawbridge! 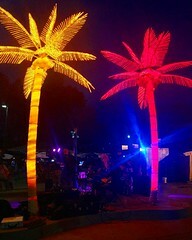 It was the best in the area. I’m very sorry to see it is gone now!